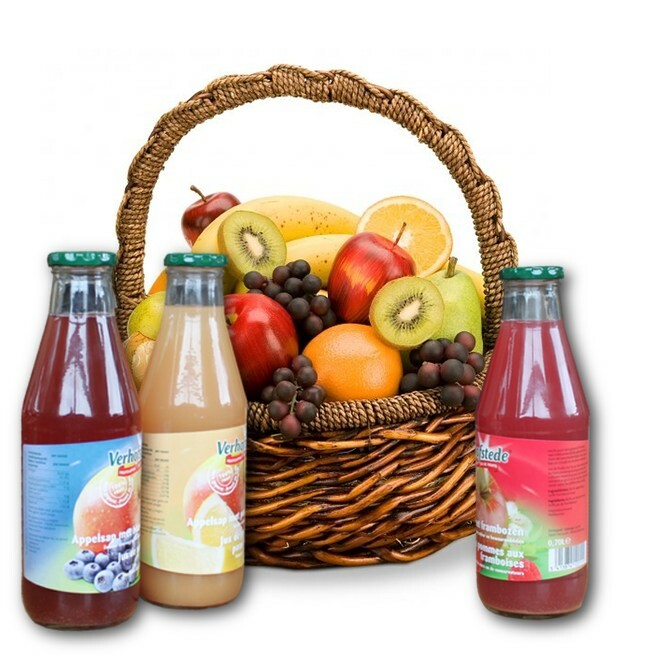 A big wicker basket, packed with fresh fruits and 3 bottles of organic fruit-juice. The basket is decorated with a fitting bow for the occasion. A wishcard with your own personal message makes the gift complete. We deliver this gift in the Benelux, France, Germany, Austria, Italy, Hungary, Denmark. and the United Kingdom.